Enjoy the top 1 famous quotes, sayings and quotations by Peter C. Newman. 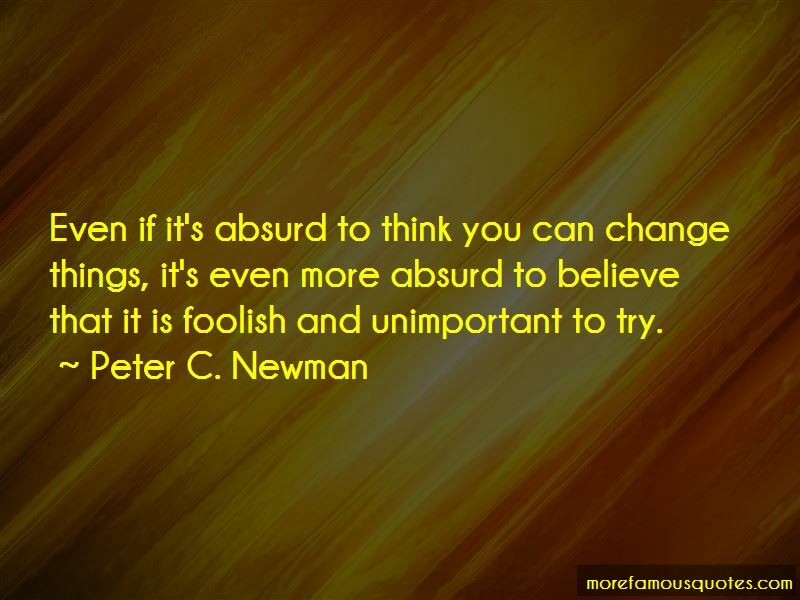 Even if it's absurd to think you can change things, it's even more absurd to believe that it is foolish and unimportant to try. Want to see more pictures of Peter C. Newman quotes? Click on image of Peter C. Newman quotes to view full size.